Meanderings and Reflections: Have you ever plotted anyone's murder? Well, the title of this post can raise eye-brows and make the reader gasp saying, "How on earth?" But the truth is at some point there comes that one individual who induces us to plot his/her murder. I have thrice plotted a murder in my mind (but never ever had the courage to actually doing it). Most of us know the Ten Commandments and the commandment which says, "Thou shalt not kill." In spite of the commandment and inspite of knowing that no one has the right to take away another's life, the thought sometimes feels justified when certain actions of people are seen. The three murders that I have plotted in my mind, according to me, are justified because of the nature and deeds of the people involved. Now, I know that I am not the one to decide on anyone's right to live or die but the actions that were committed by the three are worthy enough to kill them. The three in question have a deep ability to hurt and upset not only me abut also many other individuals. Now, one doesn't plot the murder of every third person we know but only some who possess that potential weapon which can be used to upset the balance of life. While I write this post, I also understand the words, 'kindness,' 'compassion, and 'forgiveness.' Well, if I say that no matter how much I try to be kind and forgiving, the individuals just don't stop themselves from doing harm. So much so, my kindness is seen as weakness and an attitude which is not capable of standing up. Coming back to the "plotting murder" part, I have let myself have the luxury of taking cues of murder from the various books I've read and the many films I watched. And how juicily I try different ways to kill that special individual who has managed to incite so much anger and hate within me. Given my peace-loving disposition, it takes a person of great failings to drive me to think of murder. I have been saddened by my thoughts of plotting a murder to the extent that I have had doubts about my self but those doubts were laid to rest when certain other individuals also confessed having similar thoughts about people whom I would have liked to eliminate. The mind and imagination can go to any lengths in thinking and plotting and sometimes this license enables the individual to travel and explore the darker and unsought realms of fantasy. Afterall there is no ethics, punishment and judgment involved when it comes to imagination! Do such sinister thoughts surprise you, my dear reader? P.S: I have done away with those plottings, as I seem to be tired of thinking about those three individuals. I'd rather think of exotic places, dark knights and fantastic blog posts! I've plotted many murders too, Susan, though I never executed it :) I believe that certain humans drive us to that extent and they are at fault for making us think this way! It doesn't mean that we lack kindness or compassion! Thanks for your lovely comment, Sowmya. I realise that some people don't deserve life. Perhaps I'm being a bit too harsh but still. I have plotted murders a plenty! SO I think this is all a part of being 'normal' ;) Cheers to that and your dreams about Lochinvars! And, welcome here. Glad to have you stop by. Please do come by more often. Ha ha .. I am amazed your number is just 3. So, how is the missus Sanjay doing? Glad to see the missus here. Splendid idea, Colleen but I have to invest a lot of time and energy on writing everything. Hope you have been well and happy <3. Maybe you should compile these elaborate plots and write a wonderfully entertaining murder mystery for us to enjoy! :) (Names may be changed of course. :) All in all I think it is quite normal to occasionally come across a person who drives us a bit mad! LOL! Susan these individuals really did get under your skin, didn't they? I haven't quite gone to the extent of plotting a murder but yes, hurting someone I have thought but never got around to implementing those sinister thoughts! 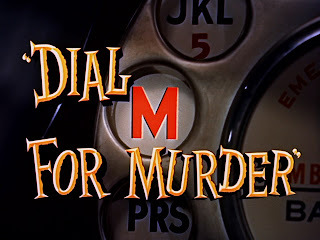 Finally it comes down to not giving anyone that kind of power so as to make us want to do and think of doing such things.By the way, I love the movie "Dial M for murder"! 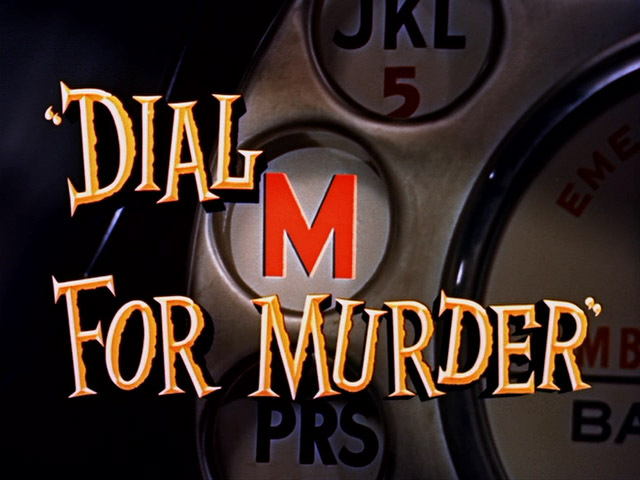 Yes, "Dial M for murder" is an excellent thriller. Well, the people in question did hurt me but now all that is history. You're right, Larry. Before I could bring them to reality, I stopped the process. The mind is indeed very powerful. Definitely I have had that thought especially towards One special person :) who deserves to be shot but before that much worst done to them ..
you wanna share the plots and how to get away with it :) he he he he , your plan might just help me out .. I guess this is a human tendency especially in fit of rage ..
You call the person "special?" I have dozens of plots . . . poisoning food, noxious gas into the room, spray pesticides on their face, the old strangling method, mixing poison in their face cream and many more . . .
Hi Susan!!! i hope that you keep it confined to the planning and plotting stage only. anyway, remember that i am your friend and if you feel the need to unload something/anything- you can just pick up the phone and call. btw, i have plotted murders too- for writing those potboiler mystery novels and i always keep on looking for the perfect getaway, i still havent found a way to make sure that the murderer actually gets away with it- they do goof up somehow. Oh yes, even I have set up "perfect getaways" but alas every murderer leaves a trail but somehow I imagine myself to be very skilled in escaping. Well, as for unloading -- thanks a lot, Dok. Maybe you should give me lot of injections and medicines which induce slow killing!!! This topic is scaring and controversial. I am not an executor, instead I'd torture them, but again, to feel some kind of relief I need to believe those who deserve such killing are ill, realy ill. I know that thoughts as these are very dangerous but somehow being humans, one cannot escape these thoughts. some people don't deserve to live, I think and so let's eliminate them. But I am very scared to even try doing any of the things I had imagined. Good to see you here, dear sweetest after a long time. oh my god, we must be ware f u, SUsan :D.
Hey, I can only plot and not act!!! so your fears can be rested. Glad that you atleast have a hitlist! I don't think I have ever wanted to kill someone but a long time ago I strongly wished someone to die in an accident such as falling from a roof! And now when I think of that I feel somewhat confused and ashamed! Thanks for sharing your mind. I guess the people you mention did hurt you deeply inside. Welcome here dear Mildred. I often see you at Nevine's. Somehow I don't feel either ashamed or confused. But I have stopped thinking of such actions. Justice will be there for them, anyway. Wishing happy days back to you dear Mildred. Thanks for your appreciation, dear Jessica. Well, there are only a few who can be Zen-like and carry on. People like me attempt to be peaceful and gentle in thoughts and deeds. I am striving nevertheless to cleanse my thoughts and deeds. "Not talk to them at all" seems very simple to say but that just cannot happen. Only when one is in a situation like that, the scene is imaginable. Only theorising it is impossible. Good for you that you are a Gandhian and rationalist. Oh dear! J, please don't scare me by quoting that movie. I wonder how can one be arrested before the crime is committed? Are there devices which read the mind and create witnesses? Have I ever plotted a murder? YES! But that was long ago, 45 years. ALWAYS raise some thought--thoughtful thought! Steve, don't go by my writings and appearance. They can be deceptive. Everyone thinks so atleast once in their life time, I reckon. Thanks for your kind words, Steve. You are a gem. Now I know just why I don't see you so often online, Susan! I know that some people can drive us absolutely insane with anger and sometimes it's not hard to understand why people are driven to do that! Some people are just #$%^#.